For todays post I had planned to show you some rare artwork by Heinrich Kley taken both from original art and photos there of. But that will have to wait for a while. Because... this morning we were going through one of my files when we found a stack of Disney model-sheets ranging from the 30's to the 70's. From Fantasia and Pinocchio to Fox and the Hound. 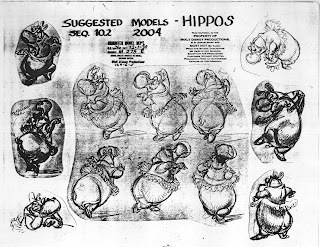 So, for todays post I instead of Heinrich Kley artwork selected these two model-sheets from Fantasia. You can see that the artist behind these sheets had studied Kleys work. 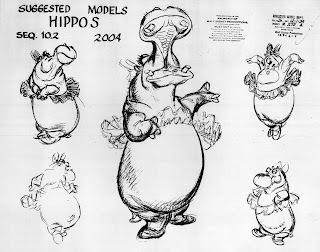 Giving a Hippo all that grace we see in these drawings takes a skilled artist. Beautiful, eh? 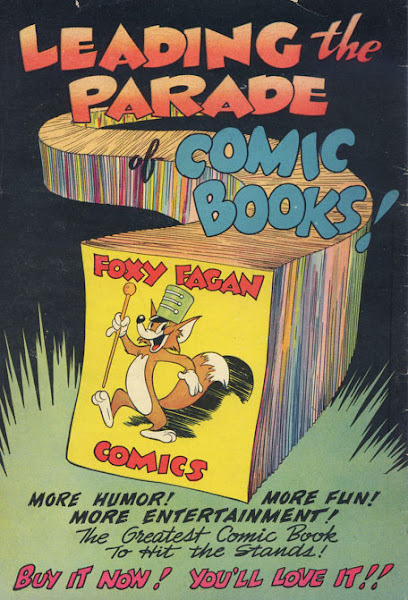 Images#1 and 8 also features good selections of rare pieces. Those are must haves for the Kley fan! Available directly from the publisher and Bud Plant.com. Beautiful hippos! But I would like to see more artwork by Mel Graff.